Who will win the Booker Prize? 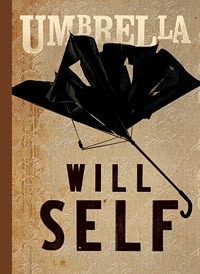 This creepy little book has as its protagonist a man called Futh a depressing start in itself-who goes walking in Rhineland to recover from being thrown out by his wife. He remembers his 12-year-old self going on a similar holiday with his boorish father after his mother left, bequeathing her son a legacy of awkward neediness with women. So it’s unfortunate that his first hotel is run by a nymphomaniac with a violent husband. Futh walks on, unable to see, as the reader does and dreads, the potential for disaster. 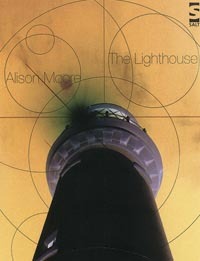 The originality, structure and neat prose of this first novel justify its shortlisting, but it doesn’t do much to lift the soul. Let’s be clear: this is not a novel you can flip through on a deckchair with a mint julep to hand. With its 20-page paragraphs and cacophony of almost undifferentiated narrative voices (if you think that’s a wordy way of phrasing it, brace yourself), Will Self’s account of the post-First World War Encephalitis lethargica outbreak demands to be read in a single fevered sitting, preferably on a sagging sofa in a creaking Hampstead townhouse. Undoubtedly, it’s the work of a brilliant mind, and has some important things to say about love, loss and memory, but uncompromising Modernism has always been a little hard to swallow. If this wins, I’ll eat my copy of Ulysses. Teoh Yun Ling is losing her mind to dementia. Before this happens, she returns to the Malayan garden she created with the Japanese emperor’s gardener, Nakamura Aritomo, intent on writing down her astonishing memories: from being a slave labourer to the Japanese, a combatant during the Malayan Emergency to a judge who saw Japanese war criminals hanged. 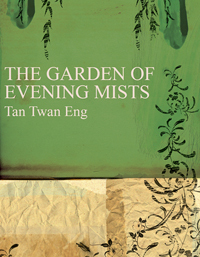 Tan Twan Eng manages the near-impossible. This is a haunting literary novel, its writing as clear and poetic as a Japanese wood-block print, as well as a gripping story that moves back and forth over 40 years. It deserves to win. 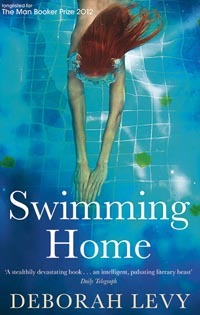 Short, sharp, shocking, this book combines a familiar scenario (a group on holiday in a French villa) with a traditional formula (a stranger arrives and stirs things up) to explore deeper, unsettling themes with a spare precision that could certainly win Deborah Levy a prize. The plot ends in catastrophe, but it’s the power of the unsaid and the tension of the bigger questions lurking beneath the surface that give this psychodrama its strengths. Language, imagery and recurring symbols cleverly evoke the surreal atmosphere, but for all the literary skill, I couldn’t help feeling slightly annoyed by the self-consciousness, let alone exasperated by the pivotal character, the mad, menacing beauty Kitty Finch. 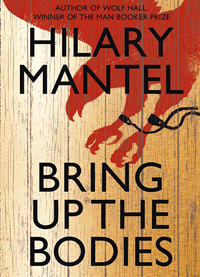 Still only two-thirds complete, Hilary Mantel’s trilogy on Thomas Cromwell is already one of the great achievements of modern literature. Like its predecessor Wolf Hall, this instalment evokes a terrifying world of intrigue, now surrounding the fall of Anne Boleyn. Tudor England is summoned up with uncanny intensity in a pointillist technique of sensory touches, such as the smell of ginger comfits on a pregnant woman’s breath or the distant sound of boys rehearsing a motet. It might not win because Wolf Hall did in 2009-if the jury does choose it, it will prove it is guided solely by issues of quality. 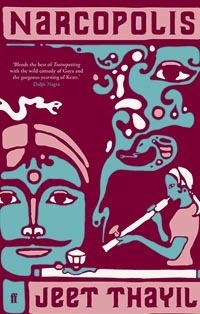 Indian author Jeet Thayil published four books of poetry before his debut novel, Narcopolis, a tale of Mumbai’s druggy underworld written in melodious, rhythmic prose. Pimps, pushers and painters stumble in and out of a ramshackle opium den, little knowing that their city will fall under the spell of an infinitely more deadly substance: heroin. Could we have a winner on our hands? Mr Thayil’s ear is better attuned to subtlety than Aravind Adiga, author of 2008 victor The White Tiger, which makes for fewer belly-laughs, but a more intoxicating read.